Kids go to work every day when they play and learn! The therapists and	staff members at WEE Therapy help when play activity and educational tasks	become difficult. 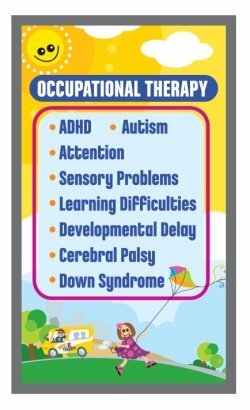 Occupational therapy helps children with cognitive,	physical, and/or sensory disabilities perform daily activities as independent	as possible. Improving a child’s abilities to perform daily tasks improves their	self-esteem. Our Hidalgo County children’s therapy services staff	address both gross coordination as well as fine motor skills to achieve	individual treatment goals. We are trained to work with all customary	specialized equipment. We can answer any questions you have about your	child’s occupational therapy needs by	calling us today in McAllen at (956) 631-8646 or Weslaco at (956) 375-2045!